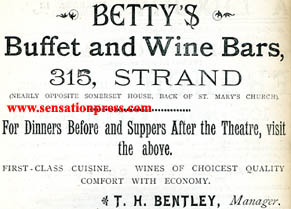 Betty's Buffet and Wine Bars, Strand, London. For dinners before and suppers after the theatre. First-class cuisine, wines of choicest quality, comfort with economy.